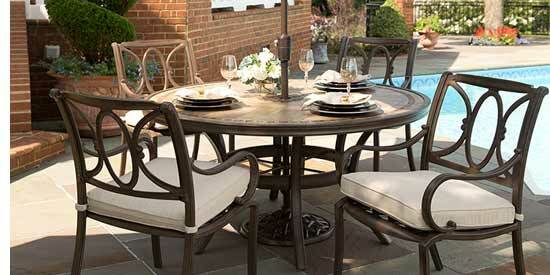 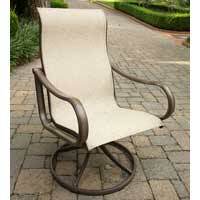 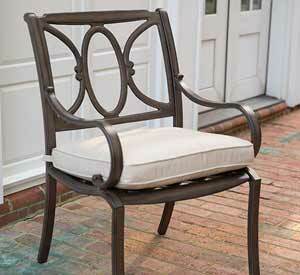 The best outdoor gatherings start with a comfortable place to relax and enjoy each other's company. 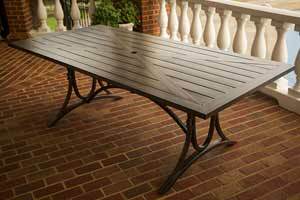 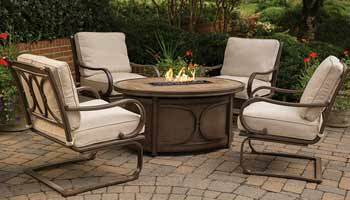 Agio's Kendall Collection Patio Furniture delivers maximum comfort and beautiful detailing with its alumicast and sling dining collections, and coordinating gas fire pit with a unique oval porcelain top for serving. 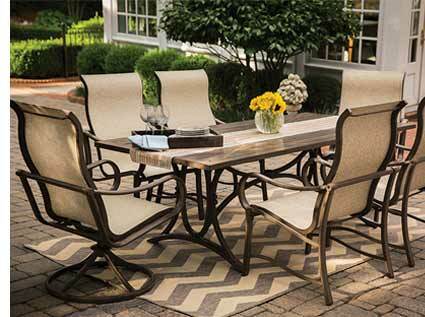 Whether you choose alumicast swivel seating with intricate cast detailing, scrolled arms and soft traditional styling, or you prefer the versatility and long-lasting beauty of sling seating, Kendal has a variety of dining pieces from which you can create the perfect outdoor setting. 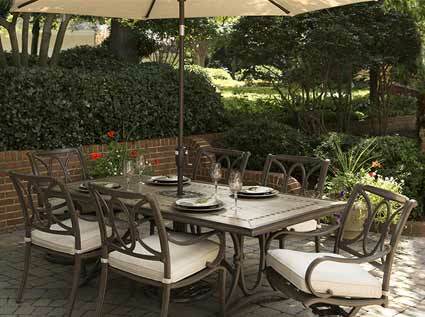 With seat cushions crafted of weather-resistant Sunbrella® fabrics and durable tabletops in either porcelain or a unique slatted tabletop that looks like genuine wood, Kendall is sure to be the perfect backdrop for years of grand entertaining.